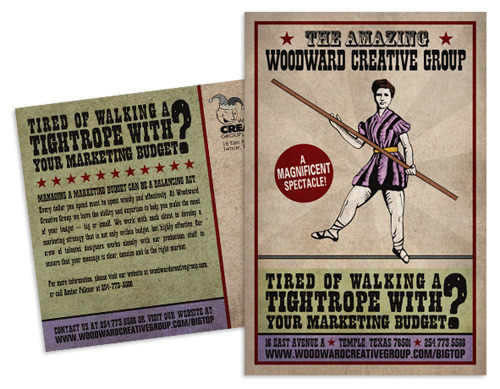 We’ve got a post about business postcard concepts you could use for your campaigns, advice about direct mailing, and more postcard inspiration posts here on the blog than I could link to. 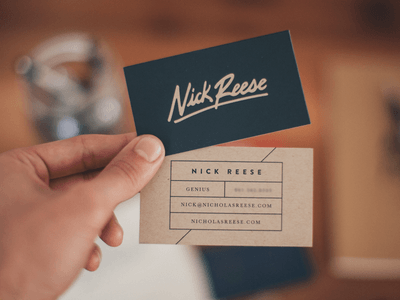 For a change and to get more in-depth on the business postcards topic, let’s take 20 business-oriented promotional postcard design concepts and discuss what makes them work — or not! I wonder if they have something like this for girls that’s not too revealing? In any case, this postcard is probably trying to work like those AXE commercials. 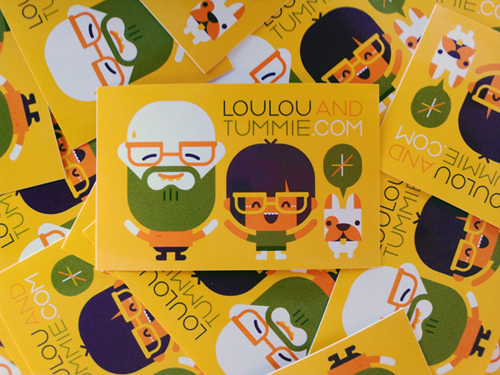 LouLou and Tummie is a Dutch illustration duo that specializes in cute robot-like toys, graphics, characters and the like. 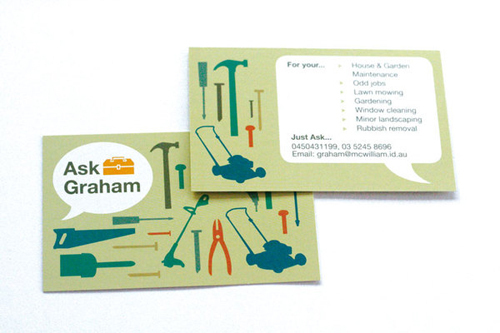 Their identity package features this style and the website on their cards. You’ll see those characters on their website too, and if you don’t get a cute attack from it I don’t know what will. Aww, would you just look at this! Prolly goes to show that if you’re a designer, you really should make a brand mascot for yourself and your business… preferably something cute and irresistible, for people to really remember you by. 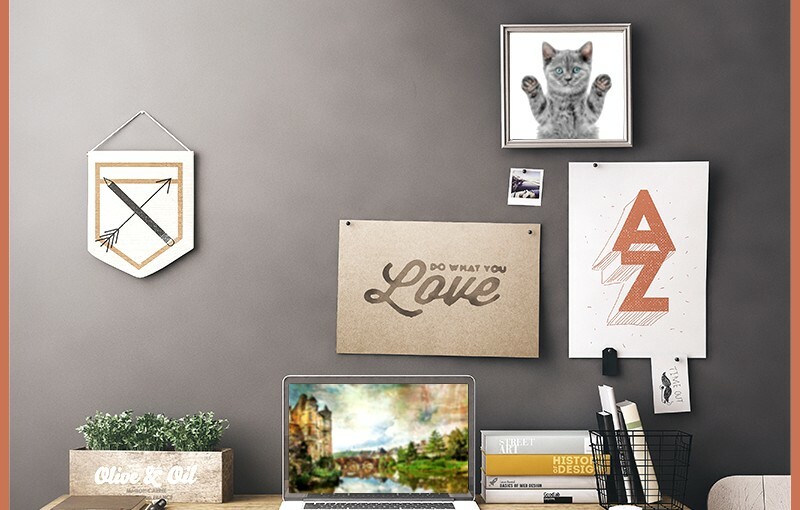 It’ll be the graphic design equivalent of kittens. Or puppies. See how LOLcats has become so popular? 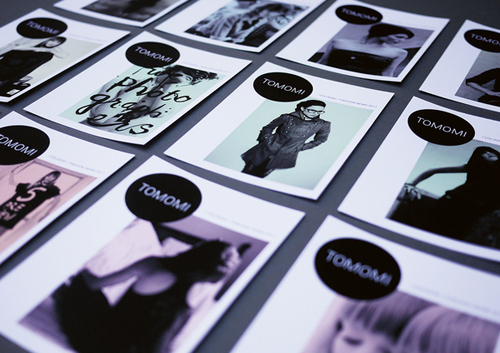 Tomomi is a Japanese fashion design store. 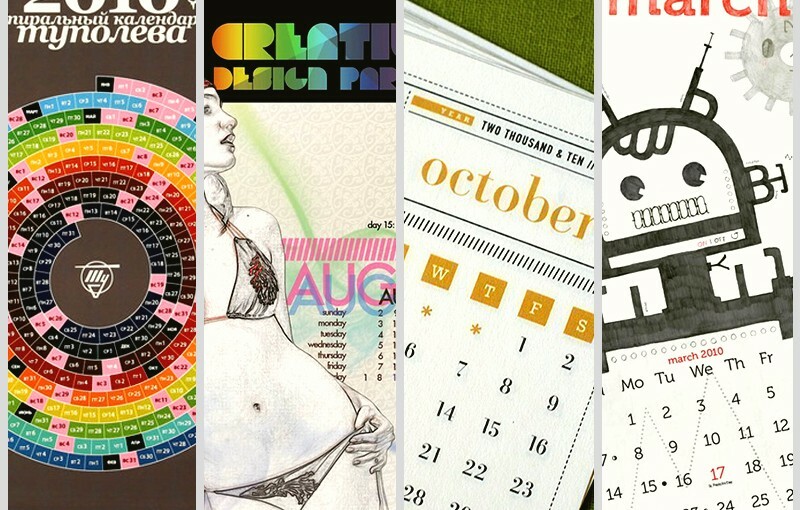 See how their postcards look kind of like fashion magazine pages. 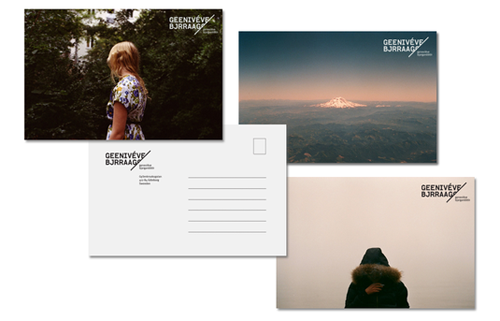 Geneviéve Bjargardóttir takes beautiful photos, and uses some of them as clean, minimalist postcard designs. I like how she misspells her name on purpose and uses it as her logo. You can almost tell how much time she spends demonstrating to people how her name’s pronounced. 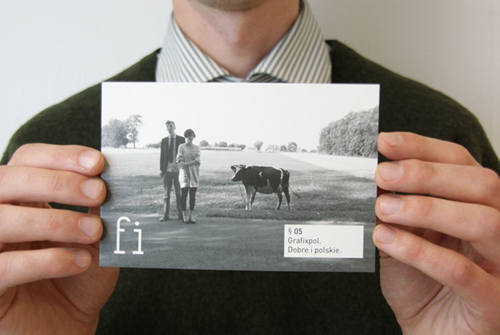 Grafixpol is made up of two quirky people who have specific ideas of what their work should be like. They’re also not afraid to get silly with their branding. Like me. Of course I like this. 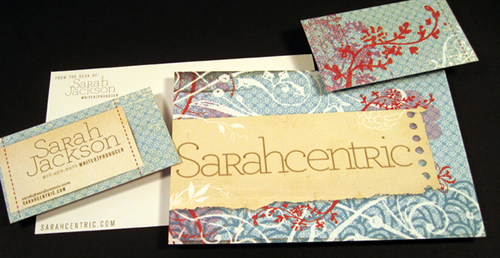 Sarah Jackson’s website has a similar feel to these postcards, and her individuality is something I’m hard put to express in words. In any case, there’s a pretty good chance you’ll look her up too because there’s that big name right smack in the middle of these cards, plus this vibe you’re getting that she seems interesting, right? Oh, and she claims to be totally weird. 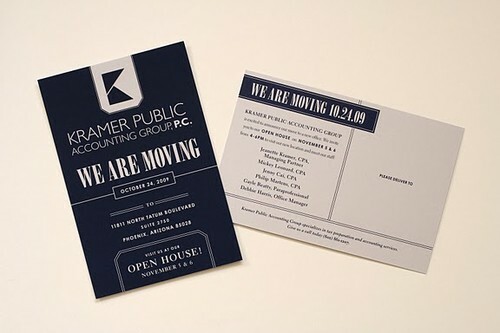 These postcards were made for Admissions at Ringling College of Art + Design to attract more interest to their new Business program. How they tackled it is to try and make the potential students excited about how much art and design are integrated into many successful businesses. That $ amount sure got my attention, how about you? 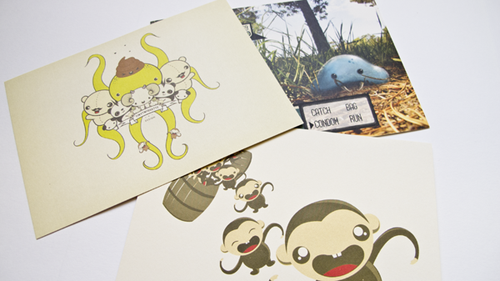 This is an all-around 4″ x 6″ card welcoming the recipient into the world of RageHaus. 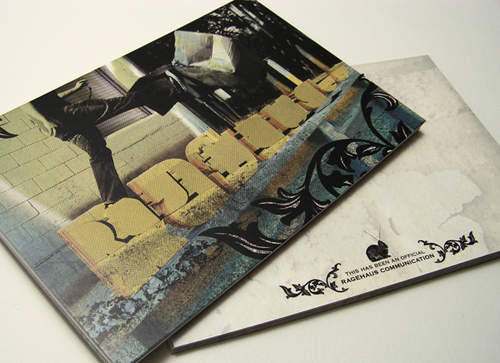 The graphic on the card is a combination of two photos from a warehouse shoot involving cardboard letters and a box. Energetic, grungy, and street-inspired, hinting on the mad, hands-on, and youthful qualities of their studio and work. That’s what they said. Exhibitor Express is a program made by INFOCUS Marketing so exhibitors would come to them for all their trade show marketing needs. 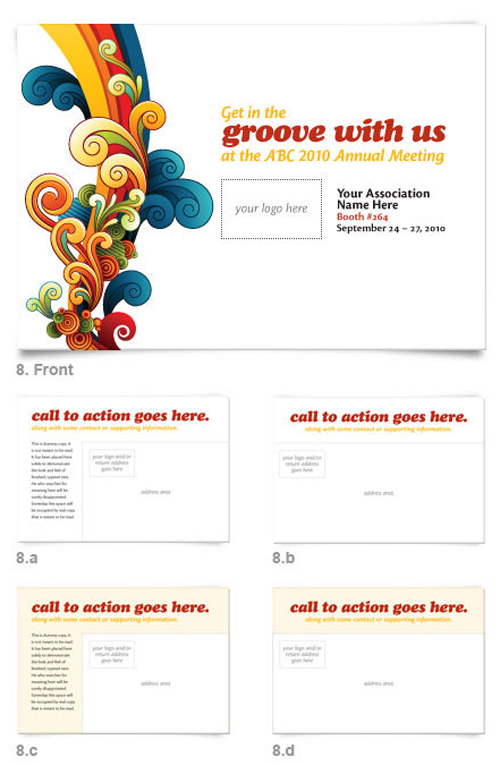 Here’s one of the 8 postcard templates they prepared for exhibitors to choose from. See how strategically they put that large call to action type up there? This may not look like much but it still works. 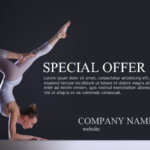 We tend to see businesses like these take themselves too seriously in their promotional materials’ designs, but the design on this one is simple, functional, easy on the eyes, almost playful – and you get it at a glance. 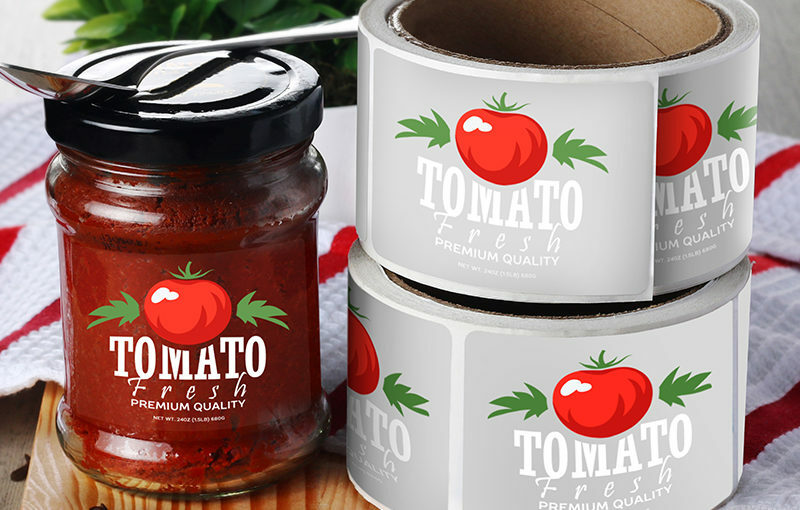 This was an entry for the Antalis design competiton; entrants had to create their own business that would run successfully during – and potentially after – the Soccer World Cup. Here, Yarn sells woolen and mohair products, since South Africa is the world’s largest producer of mohair. It takes a lot of courage to feature pick-up lines like that right up there. 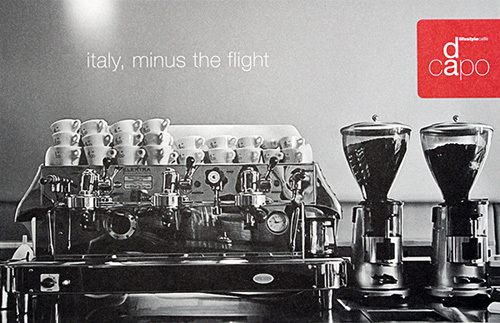 A tasteful photo in striking B&W, a classy tagline, and the logo and name of the business in stark contrast against the rest of the postcard so you can’t help but remember the name. 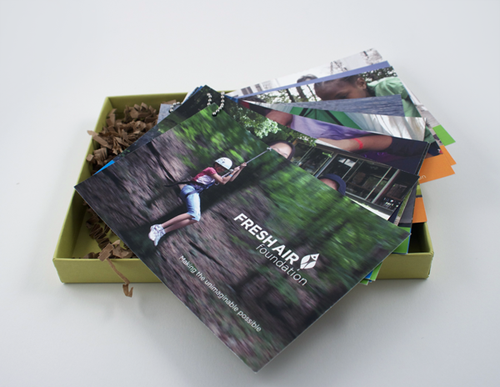 Fresh Air Foundation is a non-profit organization that sends New York’s inner-city kids to summer camp. This is a postcard package made for a sophomore class. At this point this fact has to be acknowledged – it tends to be easier to make effective postcard promotion designs for things you actually believe in. 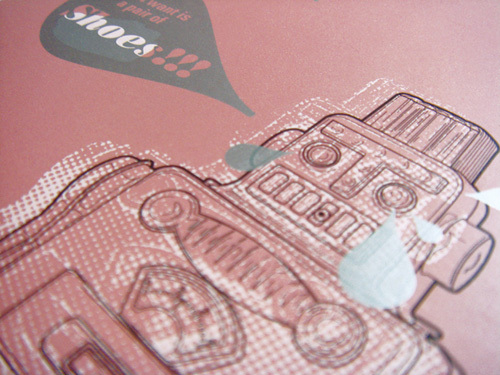 Or a solid story you can create your design around. 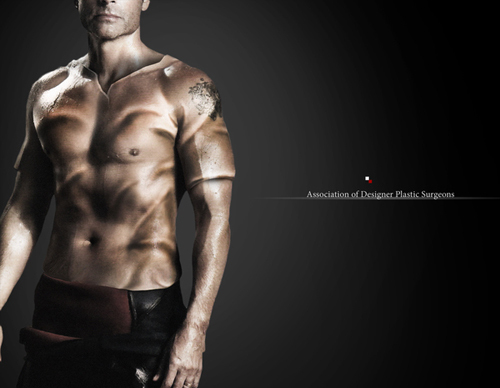 A lot of the designs we’ve featured here so far relied heavily on the name’s story, branding, and individuality. That’s simply our nature as people. Even before and especially now, what catches our attention most are stories, and it is up to us to tell our stories well, whether in words or in visuals (or even in audio! ), especially in mediums like these. 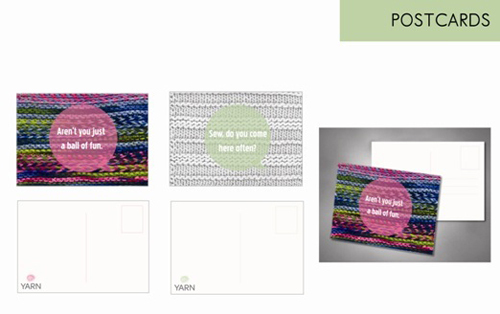 Think Brand Studio says they reworked Tricia Pokosh’s design and marketing materials to help her communicate a positive and fun tone. I suppose it is. This tagline, though, really succeeded in making me feel kind of paranoid. Like those expertly worded emails you usually sign up for but are trying to really make you buy something. Not that we hired someone here recently, but still. I don’t see how this could not work. 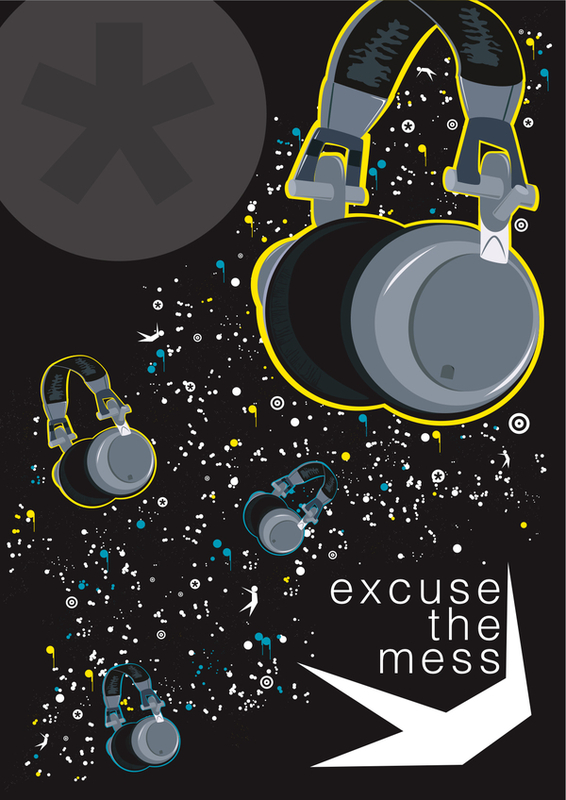 Excuse the Mess is an underground music company. 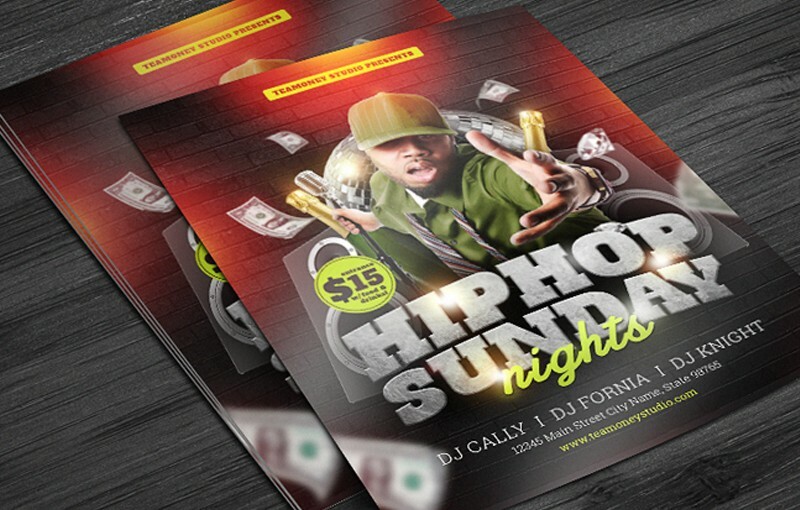 This design was used for a set of postcards, as well as for their Facebook page and event announcements. 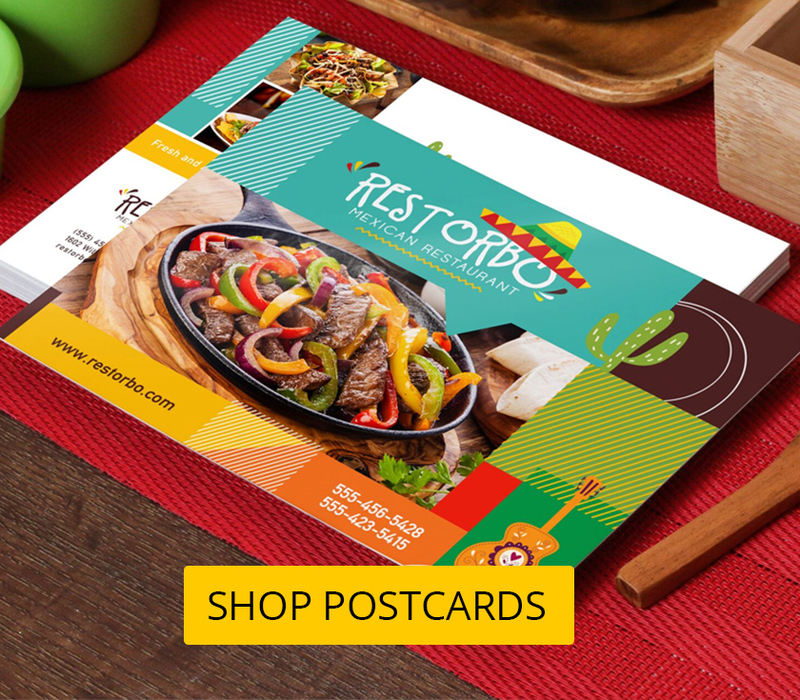 The postcards were designed to be placed around the capital city in various stores where other postcards are already displayed. 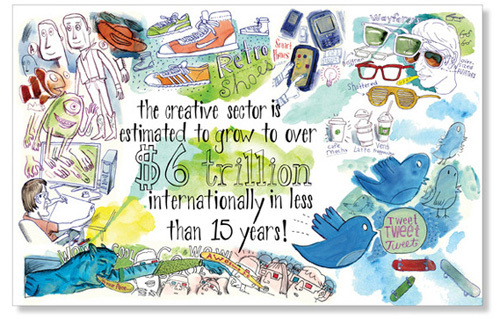 More creative postcards made as leave-behinds and promotion. The complexity and creativity in these designs will definitely stay people’s hands from accidentally these materials. Do you let people know when something new and important happens to your business – especially when you’re moving? If you don’t, maybe it’s time to start! You could be missing great opportunities to remind people you’re still there and thinking of them (wondering if they’re thinking of you. Like that song). If you know other postcard designs that you’d like everyone else to piece apart here, feel free to share in the comments! 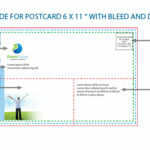 In case you’re getting ready to design your next postcard campaign, here’s a bonus – get some free postcard templates over at UPrinting too!